If you’re a parent (or a doting auntie or uncle), back to school season means one awesome thing: a whole new batch of original artwork is coming your way! Instead of filling up your bulletin board or already-crowded fridge, we think it’s time to create a colorful gallery dedicated to these masterful creations. Today, we’re going with a colorful grid design that’s perfect for displaying artwork of all shapes, sizes and color palettes. ? This creative project is quick, easy and fun, and takes just a few minutes! – amazing artwork by your kids, nieces, nephews, cousins, etc! ? As you can see from the instructions above, this project is super easy and quick. Even the materials list is pretty darn short! 1. First, measure the space you’re decorating to see what length of VELCRO® Brand straps you’ll need. 2. Cut strips to the right lengths. Feel free to mix up the lengths a bit! 3. 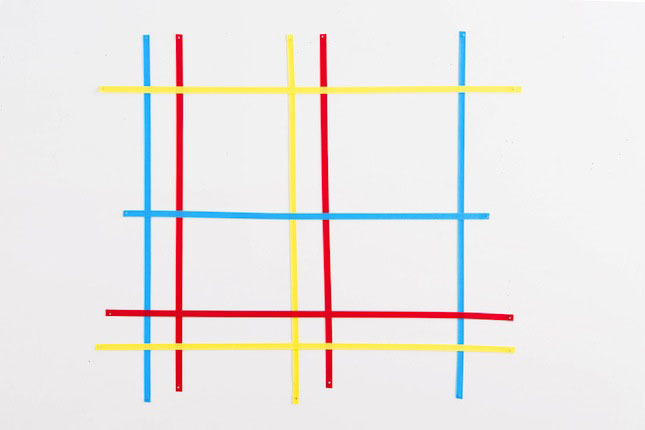 We decided to go with a grid design. 4. Start by hammering in the straps at the top, then pull down and hammer at the other end to secure. 6. Now, time to fill it up with artwork. Place VELCRO® Brand Coins on the back of your artwork. Make sure to use the opposite side of VELCRO® straps that you used on the wall so that it sticks! 7. 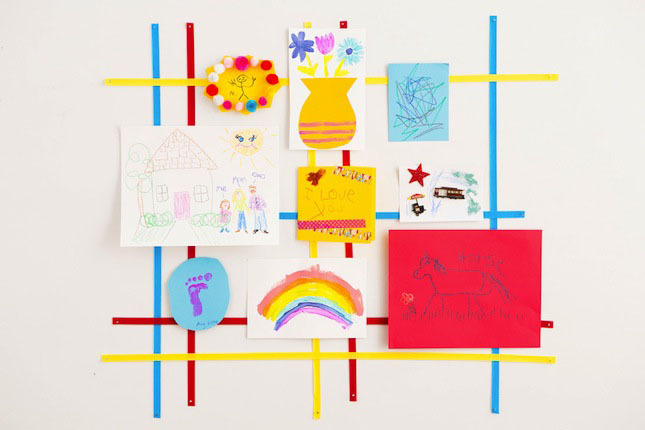 Attach each piece in an arrangement that suits you (and your little one!). 8. Voila! 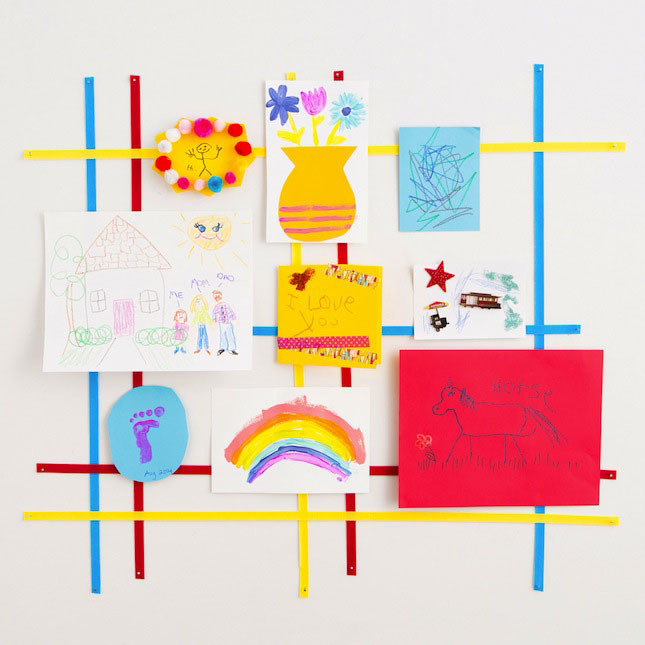 A prolific child artist has their first gallery show, and the crowd goes wild ?